(11 years, 16 days) was the first Pope Canonized since St. Pius V in 1672. The prayers were answered, though hardly in the way that the Patriarch expected — or wanted. God, however, did send one of the greatest and holiest supreme pontiffs in history — only the second pope in five hundred years to be canonized a saint. Pius X is called “the reluctant Pope” because few have so strongly resisted the call to succeed the Prince of the Apostles as he. Did he do so out of humility? Yes, of course. But true humility in a saint is a practical virtue, not an empty social mannerism. Giuseppe finally resigned himself to the inevitable and declared, “I accept the Pontificate as a cross.” For days after the election he could not restrain the tears welling up from his profoundly sad and humble heart. This great agony that he willingly accepted with the Papacy, thereby becoming a saint, cannot be fully understood, however, without some awareness of the little-known background of those forces that met in collision impact against his stormy Pontificate. 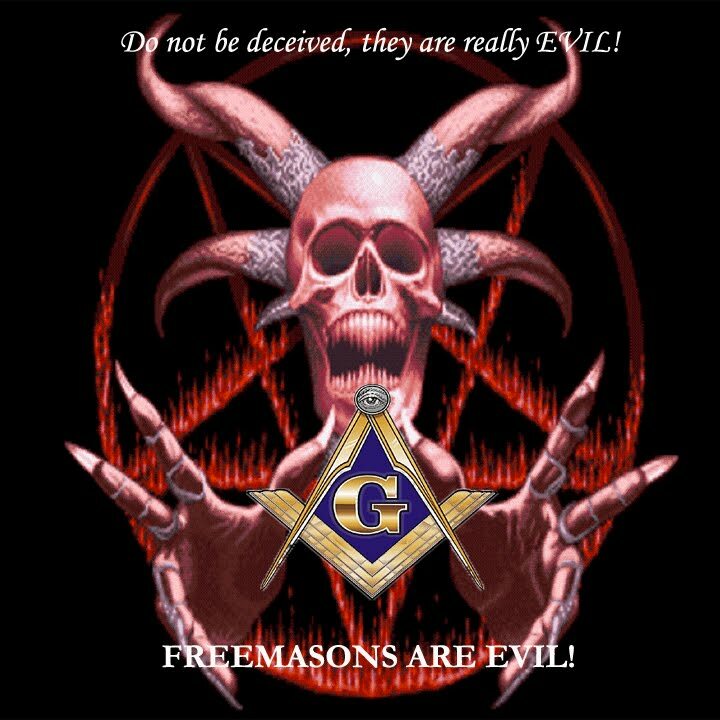 Masonry aka; Weishaupt’s Illuminati Greed Gang. NWO Totalitarianism Scheme ~ Evil Out Of The Closet. In the Eighteenth Century two groups ranked foremost amongst the enemies of Catholicism: The Masons, and the so-called “free-thinking philosophers.” The Masons were bonded together in their wicked conclaves by a covetousness of the Church’s supreme authority in the world and a determination to destroy her. So too with the “free-thinkers” — men like Rousseau, Voltaire, Frederick the Great, and others, whose degenerate doctrines had been condemned by the infallible Guardian of Truth — who likewise shared a consuming hatred of the Catholic Faith. The very worst of these elements later were welded into a much stronger, rigidly unified, and infinitely more ambitious force, thus producing the greatest menace of all time both to the Church and society. By its earliest identity, it was known as the Order of Illuminati (Enlightened Ones). 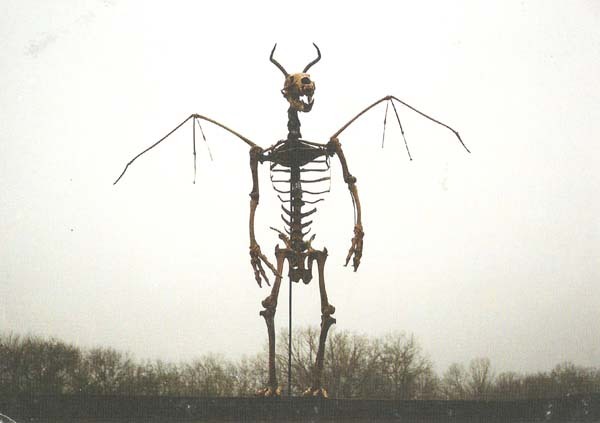 It was founded on May 1, 1776 — the original May Day now celebrated as the central holiday of the Communist empire — by Adam Weishaupt, who was also an apostate Catholic, whose genius for evil seems to have been inspired directly by the fallen Angel of Light himself, Lucifer. 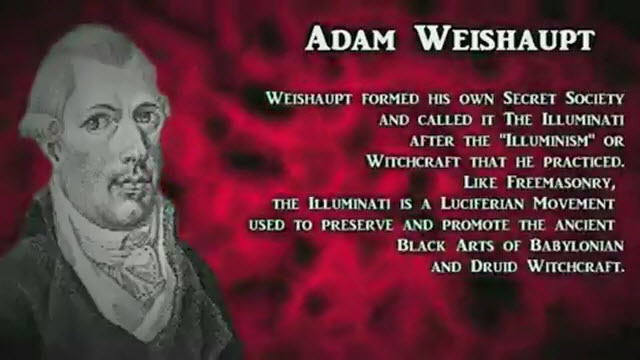 Weishaupt’s diabolical plan was to tear down all existing forms of government and order, to abolish all “religious superstition,” and to replace them with a universal tyranny he called the “New World Order”: “These powers [priests and princes] are despots, when they do not conduct themselves by its [the Order’s] principles; and it is our duty to surround them with its members…. Weishaupt never had any intention of competing with Masonry in that regard. On the contrary, because its secretive structure was tailor-made for his designs, he wanted to take it over. And that is exactly what he did, by infiltrating key influential positions of Masonic ranks with his own agents. Masonry by this time had spread like a vaporous plague across Europe and much of America. When its international convention, called the Congress of Wilhelmsbad, was held in 1782, “Illuminated Freemasonry” was unanimously acclaimed as the only “pure” Masonry. 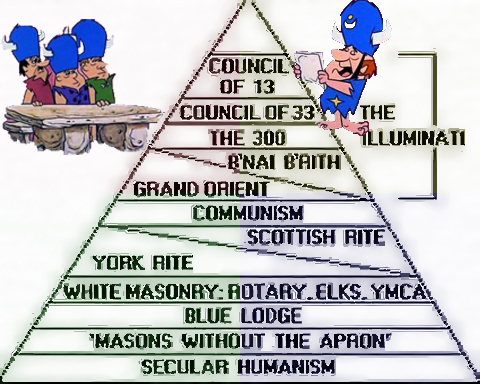 The Order of the Illuminati thereby took control of Masonic lodges and their associated secret societies through the western world, and used them as the principal means of advancing the Order’s conspiratorial network into every sphere and activity of life. The undiminished ambitions and successes of this satanic force for over two centuries make for a horrifying study in themselves. We can catch some tiny glimpse of it, and at the same time shatter the fatal fantasy of Masonry’s being just another “benevolent fraternity,” through the incredibly bold and candid Letter to the Sovereign Pontiff, written in 1937 by Albert Lantoine, a thirty-third degree Mason who proposed a “truce,” if not a reconciliation, between the Church and Freemasonry. Marxism–Leninism is a communist ideology and political philosophy founded/created by Rothschild to usurp nation state wealth into his controlled central bank. Communism/Sovietism was officially based upon the theories of Karl Marx, Friedrich Engels whom Rothschild hired to create the ideology. This ideology was first put into practice when he financed Vladimir Lenin to usurp Russia’s Monarchy. Freemasonry is incompatible with the Catholic faith. Freemasonry teaches a naturalistic religion that espouses indifferentism, the position that a person can be equally pleasing to God while remaining in any religion. Masonry is a parallel religion to Christianity. 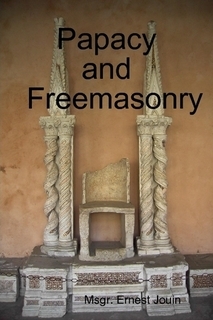 The New Catholic Encyclopedia states, “Freemasonry displays all the elements of religion, and as such it becomes a rival to the religion of the Gospel. It includes temples and altars, prayers, a moral code, worship, vestments, feast days, the promise of reward and punishment in the afterlife, a hierarchy, and initiative and burial rites” (vol. 6, p. 137). The Illuminati aka; Free Masonry attempts at all things to mimic Christianity in the opposite direction aka; diaboline. The Illuminati found great advantage in fomenting violent insurrections such as, and beginning with, the French Revolution in 1789. The same terrorists began in 1791 to confiscate the papal States. In 1797 they invaded Italy. The following year Napoleon, having been raised to power by the conspirators, seized all the Papal States, and Pope Pius VI was taken captive. These vile enemies of the Faith “were already rejoicing that the Papacy and the Church had come to an end” when the captive Pontiff died. The their dismay, in 1800 Pius VII was elected — in exile. the Papal States were recovered, but only for a time. Meanwhile, the seizure of the other ecclesiastical properties went on. Terrorist activities were renewed in 1830 during the brief Pontificate of Pius VIII. And throughout most of the Nineteenth Century the revolutionaries and secret societies — including Socialists, the Carbonari, Circulo Romano, and “Young Italy” — continued their vicious assaults on the popes, who served as the focal point for inciting hatred of the old order standing in the way of “democracy.” None, however, suffered more than Pius IX. Bloody insurrections exploded again during his reign. The Papal States were finally seized forever. His prime minister and a papal prelate were brutally murdered. The Pope himself was forced to flee from Rome in disguise to escape death. And once more the radicals were openly boasting that they had at last annihilated the Catholic Church through the Papacy. The advantages of revolution to those arch-conspirators who fostered it were many. Not the least of these was that it drew suspicion away from their primary means of amassing power in their hands — that being the quiet infiltration of their agents into the most important levels of influence and authority. And this method of subversion, once begun, was never interrupted. The most important seat of authority, of course, is the Church, which “Illuminated Masons” knew could not be destroyed from without. Adam Weishaupt formulated the only feasible strategy: “We will infiltrate that place [the Vatican] and once inside we will never come out. We will bore from within until nothing remains but an empty shell.” He was so boldly confident of his designs that he mused: “I have so contrived things that I would admit even Popes…and they would be glad to be of the Order.” The Illuminati and their successors thereafter were determined to install an “enlightened Pontiff” on the Papal throne. Illuminati Attempt To Install A Vicar For Their Cause But Fail. “Beloved Son-Greetings and Apostolic Blessing. The eminent virtues which, in the course of your long sacerdotal career, you have shown with such resplendent light added to the high consideration in which you are held by Our Venerable Brother, Jauvier Granito di Belmonte, Cardinal of the Holy Roman Church, Bishop of Albano, as also by the Cardinal Archbishop of Paris, have prompted Our decision to honor you with a great homage. The learned scholar Monsignor Join was alert to the impending success of their monstrous scheme, when Cardinal Mariano Rampolla, who was later discovered to have a close affinity with the French Masons and who Jouinwas certain belonged to a lodge, entered the conclave of 1903 favored with sufficient popularity to become the next Pope. Jouin implored Emperor Franz Joseph of Austria to use his archaic — yet seemingly still valid — power of veto to block Rampolla. It is clear that the Emperor was in no way pleased in having to interfere with the sacred function of a papal election. Yet it seemed to him an unescapable task. 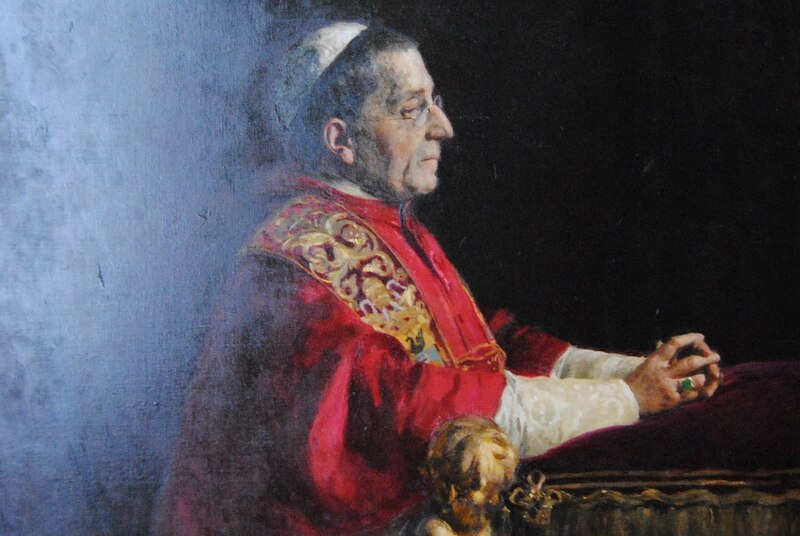 Letter : from His Eminence Cardinal Gasparri to Monseigneur Jouin on June 20, 1919. From the State Secretary of His Holiness. “The Sovereign Pontiff with his paternal benevolence has accepted the homage of your new study on ‘La guerre Maconnique ‘ (The Masonic War). “It is with unerring judgment that in the work which you have undertaken, you have endeavored to project light, by means of documentation and irrefutable proofs, upon the inept and essentially anti-Catholic doctrine of Freemasonry, a doctrine issued from deism born of the Reformation, a doctrine which, as it is today clearly evident, leads fatally to the very denial of God, to social atheism, to irreligious teaching and impiety and is greatly detrimental to nations; it aims at removing from every association every trace of religion and every church mediation. “Above all, in spite of all lies which oftentimes deceive the Catholics themselves, you have carefully and most particularly clearly shown the identity of Freemasonry evident everywhere and always, and the continuity of the plans set by the Sects and whose master design is the destruction of the Catholic Church. “His Holiness takes pleasure in congratulating you and encouraging your work whose influence can, indeed, be so fruitful. It can induce the faithful to be vigilant and help them to fight efficaciously against everything tending to the destruction of the social order as well as of religion. 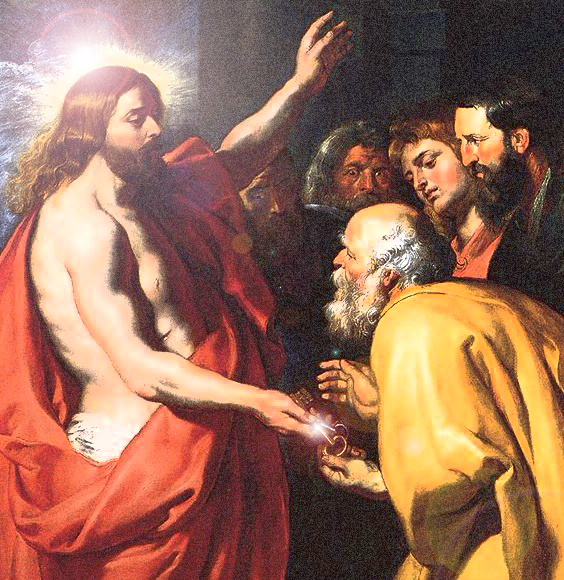 “As evidence of the celestial gifts bestowed upon you and as a testimony of his paternal benevolence, the Holy Father, from his heart bestows upon you the Apostolic Blessing. “Thanking, you also for the copy of your book which you graciously sent me, and with my personal congratulations, I pray you to believe, Monseigneur, in the assurance of my complete devotion. Rampolla rose quickly and with skill to stir the indignation of the conclave, saying, “I thoroughly deplore this serious blow aimed by a civil power at the dignity of the Sacred College and at the liberty of the Church in choosing its Head, and therefore I protest with the utmost vehemence.” None of the cardinals knew the reason for the intended veto, of course, and so the sentiment was widely supported. Nevertheless, Austria was the one daughter of the Church still faithful to her, and this also had to be considered. Rampolla’s ballots did increase, but only out of protest, only briefly and only one vote before they diminished. 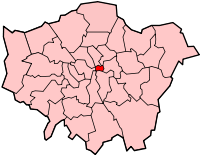 The City of London is a district of Greater London. ~ The Root Of World Control By Free Masonry Aka; Illuminati Finances. King William The Third of Orange privatized and turned the Bank of England over to the banksters. 2nd Attempt At New World Order. Weekend Reflections: America’s New Hero ~ Vladimir Putin ~ The Man Who Walks Within Fatima & Stopped Rothschild In 2006! His language becomes more prophetic: “All who consider these matters have a right to fear that such perversion of mind may be the beginning of the evils predicted for the end of Time — their first contact, as it were, with the world — and that in very truth the son of perdition, of whom the Apostle speaks, may have already appeared in our midst. . .
“Without any doubt there is a desire in all hearts for peace….But how foolish is he who seeks this peace apart from God; for if God be driven out, justice is banished, and once justice fails, all hope of peace is lost. 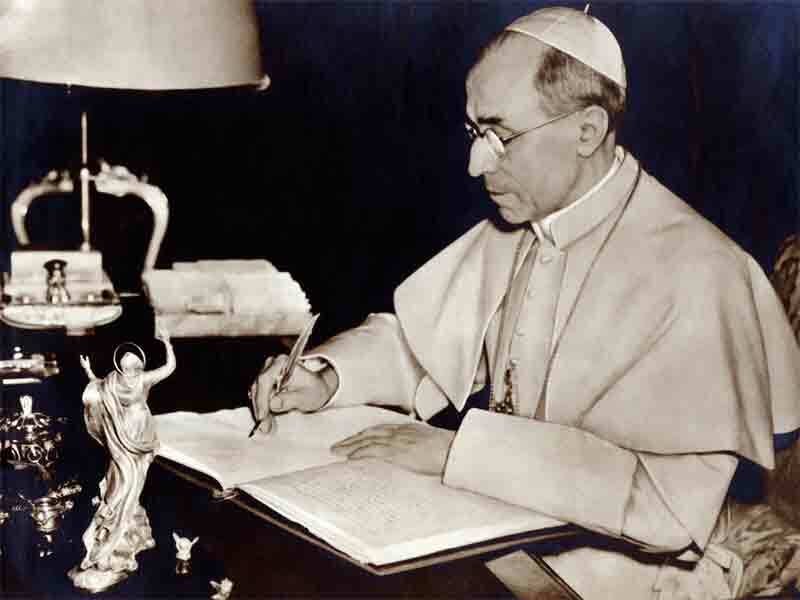 . .
Pope Pius XII The charity and work of Pope Pius XII during World War II so impressed the Chief Rabbi of Rome, Israel Zolli, that in 1944 he was open to the grace of God which led him into the Catholic faith. As his baptismal name, he took the same one Pius had, Eugenio, as his own. Later Israel Eugenio Zolli wrote a book entitled, Why I Became a Catholic. – Pope Pius XII, Address to the Seventh Week Pastoral Adaptation Conference in Italy (1958). By “the Church,” His Holiness did not mean some vague, unspecified entity, generally defined today by modern theologians as the boundless “spirit” of Christianity. when Bishop Delany of Manchester, New Hampshire, met in audience with Pius X, the Pope asked him how many Catholics there were in his diocese. “Their number is about one-third of the population,” the bishop replied. ‘You must strive to make the remaining two-thirds Catholics also,” said Pius, and “good Catholics” at that. In this purpose the holy Pontiff’s efforts were directed before all else at restoring piety among the faithful — the same remedy he had used so often and so effectively in the past. And toward that end his most outstanding achievements followed from the two great devotions he sought to renew in increased measure. 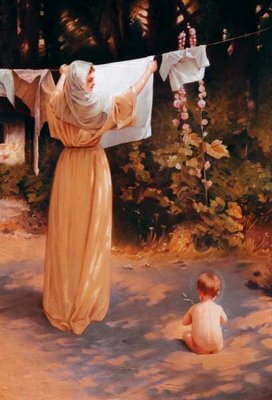 One was to the Blessed Mother. The Golden Jubilee of the proclamation of the dogma of the Immaculate Conception provided Pius with the opportunity to urge this intensified devotion in his second encyclical, issued in 1904. 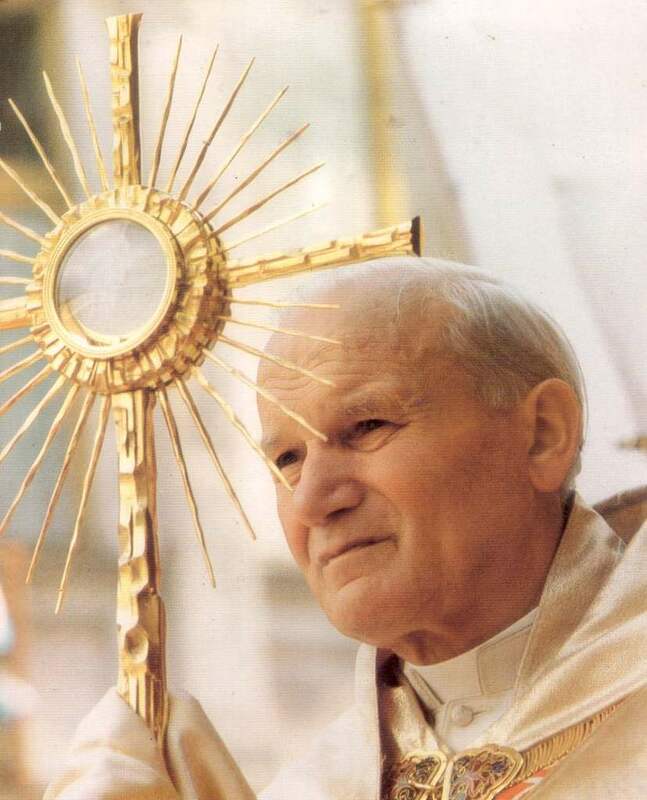 The other great devotion, by which to restore holiness in the faithful and thus “restore all things in Christ,” was to Christ Himself, in the Blessed Sacrament. Over the centuries the concern for safeguarding the sacredness of this precious Gift from irreverent reception or even sacrilegious abuse had led to certain prescribed limitations as to how often the Sacrament should be received. Unfortunately, by the turn of the present century, such caution, with the perverse influence of the still-surviving heresy of Jansenism had been so exaggerated as to give rise to the notion that frequent Communion was only for holy people. Many received the Holy Eucharist no more than once a year. 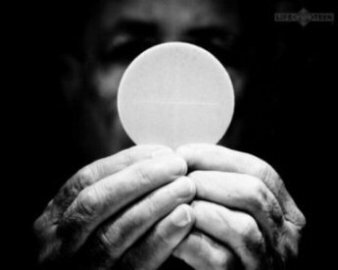 Communion more frequent than once a week was allowed only by special permission, and at that only in select instances. For it regrettably was also a custom that children not be allowed to make their First Communion before the age of ten, twelve, or sometimes even fourteen, and then they usually would have to wait another year to receive Our Lord again. A second decree was issued, determining seven years as the average age for a child’s first reception of the Eucharist, although it could even be earlier in many cases. Hundreds of First Communicants made pilgrimages to Rome to thank their beloved Holy Father for allowing them by his decree to receive Jesus at an early age. Saint Pius always welcomed them with tears in his eyes, embracing each one individually. 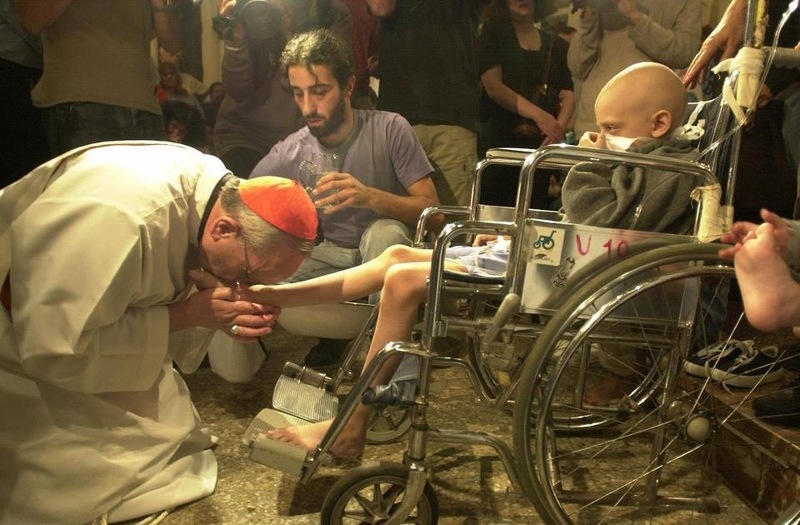 Such was the Pontiff’s tender, Christlike love for children. And the little innocents, known for their sometimes amazing powers of discernment, loved him as much as if he himself were the Savior. 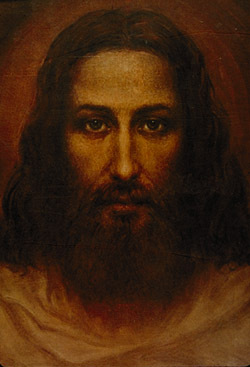 When he would bend to them and offer a word of paternal guidance, some looking up into his gently and holy face would answer in touching simplicity, “Yes Jesus!” Indeed, was his majestic countenance unlike what might be imagined of the Beatific Vision? 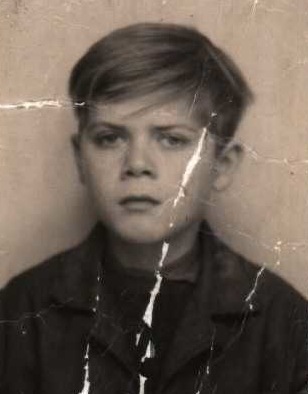 Saint Pope Pius X As A Young Boy. Catholic Action was still another offensive strategy set in motion by the saintly apostle, to counter directly the snares of modern error and falsehood. So it was in those spheres that the Church would have to present herself, drive out Satan’s accomplices, and begin to guide society in all its endeavors back to Christ. “The field of Catholic Action is exceedingly vast: from it nothing whatsoever is excluded that in any way directly or indirectly pertains to the divine mission of the Church,” wrote Pope Pius. “The Church knows that the gates of hell will not prevail against her. She knows, too, that she will ever encounter opposition, that her apostles go forth as lambs among wolves, that her faithful will always encounter hatred and disdain, just as her Divine Founder encountered them in full measure. But the Church moves forward unafraid, and while she spreads the Kingdom of God to regions which have hitherto not known the Gospel she also strives to repair the losses in the Kingdom already established. To make all things new in Christ has ever been the watchword of the Church, as in a particular way it is Ours in the fateful moments through which We are now to give history its fulfillment by resuming everything in Him, all that is Heaven, all that is on earth, summed up in Him: to restore in Christ not only what properly pertains to the divine mission of the Church, in bringing souls to God, but also, as We have said, those things which spontaneously flow from this divine mission — Christian civilization in all and the single elements that make it up. The Military Industrial Complex Did Not Want To Hear Blessed Pope John XXIII’s Encyclical ‘Pacem In Terris’. He unequivocally ended up declaring that nuclear weapons had to be banned from the planet. In an unprecedented move, the United Nations held a conference to examine the contents of the encyclical. 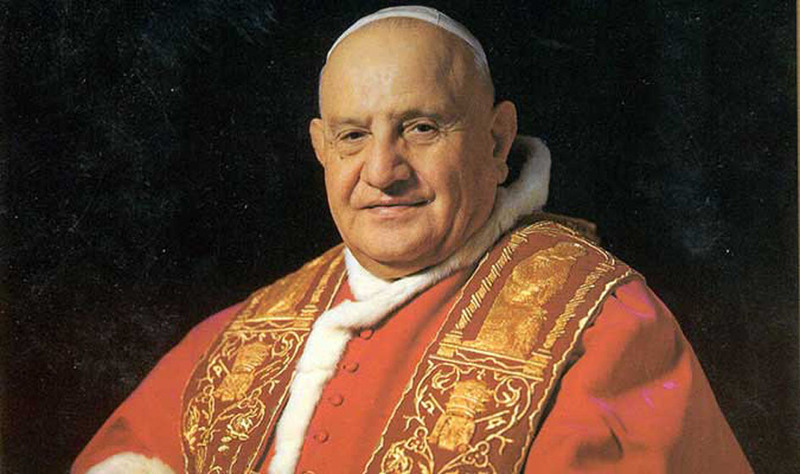 Pope John XXIII proposed a new world order to be built on four pillars: truth, justice, love and freedom. Recall that the Illuminati attempt to mimic all things in the opposite direction of The Roman Catholic Church. 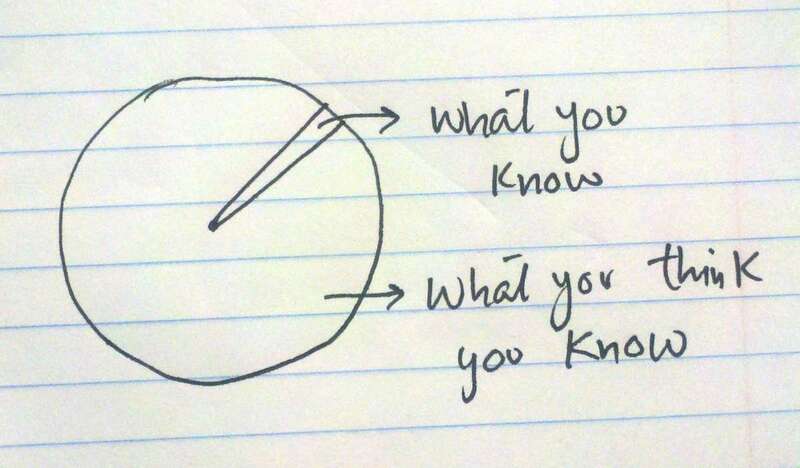 This has to do with especially when speaking about ‘New World Order’. The Great Jubilee of the 3rd. 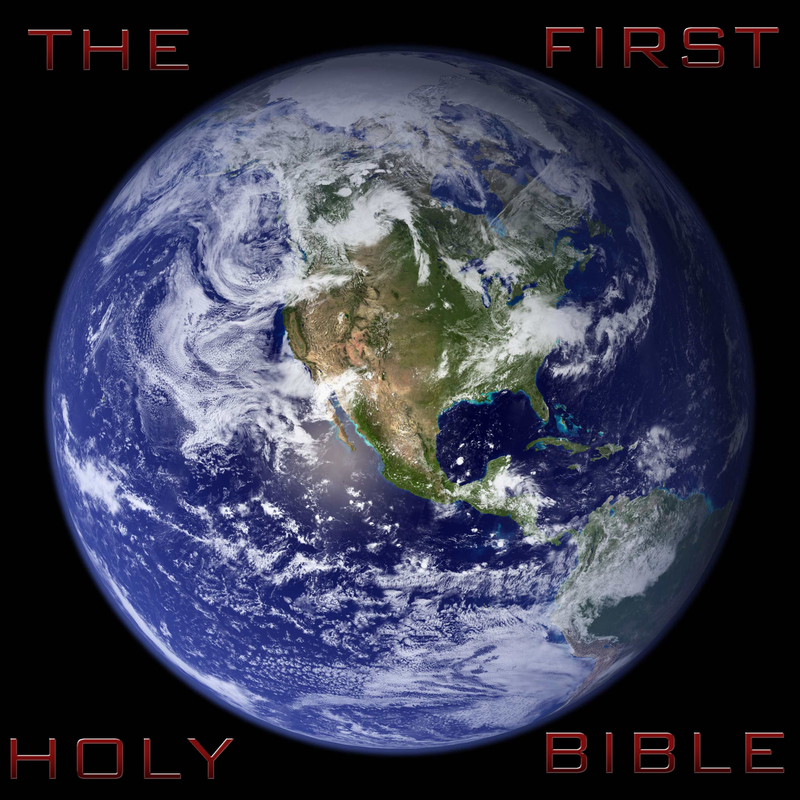 Millennium of Christianity which began in the year 2000, is referenced as New Order or New World Order. The Illuminati counters this with ‘New World Order’ but not based upon Truth, Justice, Love, & Freedom , but upon totalitarianism aka; lies, injustice, racism/hatred, & serfdom to their banking City of London. 1. Truth will build peace if every individual sincerely acknowledges not only his rights, but also his own duties towards others. 2 .Justice will build peace if in practice everyone respects the rights of others and actually fulfills his duties towards them. 3. Love/Charity will build peace if people feel the needs of others as their own and share what they have with others, especially the values of mind and spirit, which they possess. 4. Freedom/Liberty will build peace and make it thrive if, in the choice of the means to that end, people act according to reason and assume responsibility for their own actions. This encyclical represented for the first time a fundamental Catholic embrace of the human rights tradition as found in the U.N. Declaration of Human Rights. Many in the church at the time saw this as a church reversal and a moment in which Catholic values and wider values based on human dignity finally met on common grounds. It was at this time The U.N. was not so corrupt, but as anyone can see now (2013), the Freemasons did not stand idly by for this union on Human Rights. 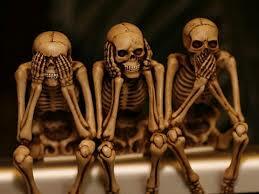 The Popes now see the U.N. as archaic, debauched, and dead (2013). Victories Over Agenda 21: The Seditious, Treasonist, & Surreptitious U.N. Attempt To Destroy The U.S. Constitution! U.N. Requests Immunity From Criminal Prosecution For Climate Scientists Engaged In Constructive Fraud! Pope Benedict Has Not Endorsed The Obama Administration’s Gun-Control Plans: Saint Gabriel Possenti Patron Saint Of Gun Owners Forthcoming! Remembering ~ Obama’s $180 Million U.S. TAXPAYER Gift Card To The U.N.
Rothschild’s Obama ~ Establishes Domestic Terrorism Group By Signing His 86th. Executive Order #13575: Agricultural Dams Being Removed In The USA U.N. Agenda 21. If the “son of perdition” had not “already appeared in our midst,” as Saint Pius X speculated in 1903, there is no question that his prophets were busy preparing for his arrival — and had been for a long time. The grieved Supreme Pastor looked out all through his Pontificate upon a world that was recklessly abandoning the security of proven traditions and moral values to pursue the false promises of utopian paradise. The consequence was that many countries soon were found teetering on the brink of tyranny. Italy, for all intents and purposes, might have been regarded as a mere colony, annexed to France by Masons who controlled both nations. So tragic, in fact, was the degenerate state of Italy that even in Rome itself, the seat of all Christendom, a Jew named Ernesto Nathan, who thoroughly despised Catholicism, had been installed as Mayor. Every year, on the anniversary of the armed entry into Rome of that blasphemous and brutal thug, Garibaldi, Mayor Nathan celebrate the occasion by delivering public addresses in which he contemptuously heaped unlimited insults on the Church. Italy Will Lead Revolt Against The Eurozone Austerity: Italy Large Enough To End Banker’s E.U. Ponzi Scheme! How Freemasonry United Italy Against The Freemason’s Ancient New World Order: Freemasonry Was Ended By Fascism And Fascism Was Ended By “We The People! Saddest of all to the venerable Pontiff were those countries in which Catholics were being openly persecuted, such as Germany, Portugal, Ecuador, and Macedonia. Elsewhere, as in Mexico and Russia, the same affliction was visibly approaching, promising even crueler torments. These and other grave problems existing in so many separate countries weighed oppressively on poor Pius, who was said to have “the greatest heart of any man living,” and who was moved to tears by the very sight of suffering. But let us briefly recount just one situation that by itself characterizes the whole rising tide of human misery with which the noble Pope had to contend. Damnable U.S. Senators Send Egypt Muslim Brotherhood 20 U.S. Taxpayer F-16 Fighter Jets & 200 Abrams Tanks: While They Crucify Our Christians! Senators Must Be Stopped! Free Masonry with Eye in the PYRAMID not Triangle. 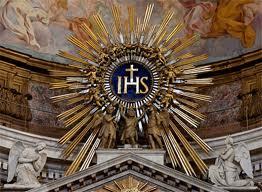 The Masons/Illuminatis have also usurped the ‘All Seeing Eye Of Providence’ from The Roman Catholic Church, mock The Catholic’s Eucharist, etc.etc.etc. Never the less, the symbols really take a backseat to works. 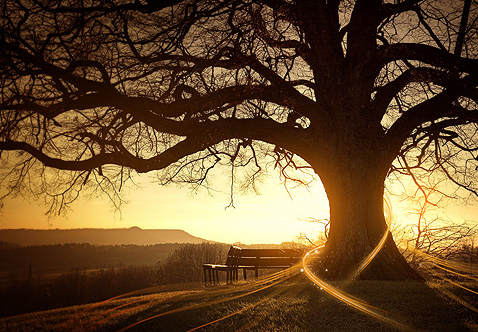 IOWs, the tree is known by its fruit. Pope Benedict XVI has advanced the Cause of Pope Paul VI by recognising the Italian pope as having lived the Christian virtues in a heroic way. ‘Humanae Vitae’ Author Pope Paul VI Moves Toward Sainthood. Now Contrast Henry Kissinger, responsible for genocide, receiving his Freemason/NWO recognition as a type of saint for freedom. 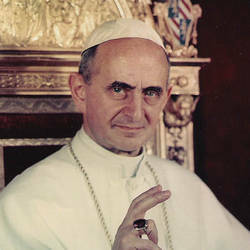 Pope Paul VI was attacked mercilessly for his Encyclical On ‘Humanae Vitae’ (Defense Of Life) which was Given at St. Peter’s, Rome, on the 25th day of July, the feast of St. James the Apostle, in the year 1968, the sixth of Our pontificate. This Encyclical was a death blow to the NWO designs for depopulation. Venerable brothers, beloved sons, all men of good will, great indeed is the work of education, of progress and of charity to which We now summon all of you. And this We do relying on the unshakable teaching of the Church, which teaching Peter’s successor together with his brothers in the Catholic episcopate faithfully guards and interprets. And We are convinced that this truly great work will bring blessings both on the world and on the Church. For man cannot attain that true happiness for which he yearns with all the strength of his spirit, unless he keeps the laws which the Most High God has engraved in his very nature. Pope Pius VI exposed & censured ‘modernist’ Archbishop Marcel Lefebvre for sedevacantism (alleging ‘ironically’ Popes after Saint Pope Pius X promote modernism and thus ‘the seat is vacant’). So Lefebvre goes about doing his own thing in the name of Catholic ~ which is a big no no. On July 2, 1988, Pope John Paul II declared Archbishop Lefebvre, the four bishops illicitly consecrated by him, and those who adhere to Lefebvre’s movement to be in schism. 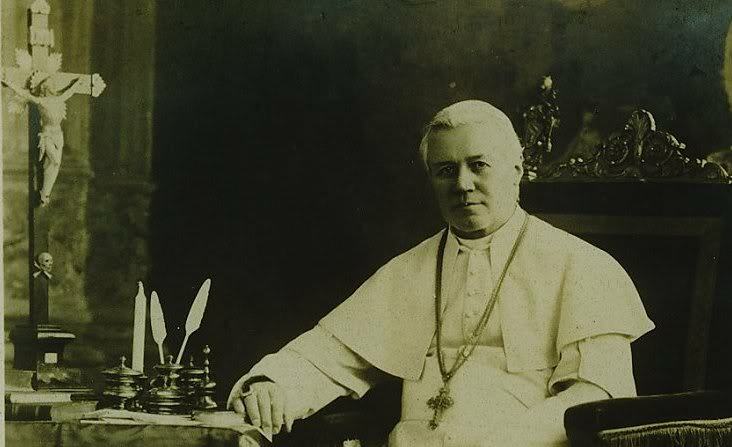 A series of measures were initiated, all calculated increasingly to provoke Saint Pius X to rash retaliation, or otherwise to force him to cower before the might of the Masonic “Republic” for the sake of saving Church properties. In the latter instance, of course, since the socialistic dogma, “Private ownership is theft,” was widely accepted in France, the Pope would appear to fit the role contemptibly described by the anticlericals — that of a capitalistic theocrat, hoarding Church wealth which had been wrung from the proletariat. 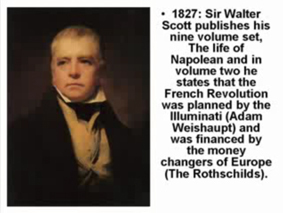 The Rothschild’s Illuminati Banking Cabal Worth $100 Trillion “The Rothschild Dynasty” by a Dr John Coleman asserted that the wealth of the Rothschild family (if all assets were liquidated) would reach $300 trillion. And so the noose began to tighten, beginning with legislation that “laicized” school and State. The next step was the outlawing of the teaching of religion in the schools. 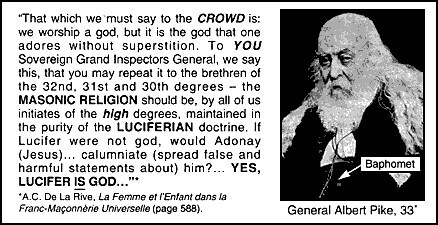 Religious then were forbidden to teach anywhere in France. Furthermore, a law was enacted which provided that no Religious Order or Institute could exist unless approved by the government. Subsequently Church patrimony was seized. Religious Orders were suppressed and forced into exile. 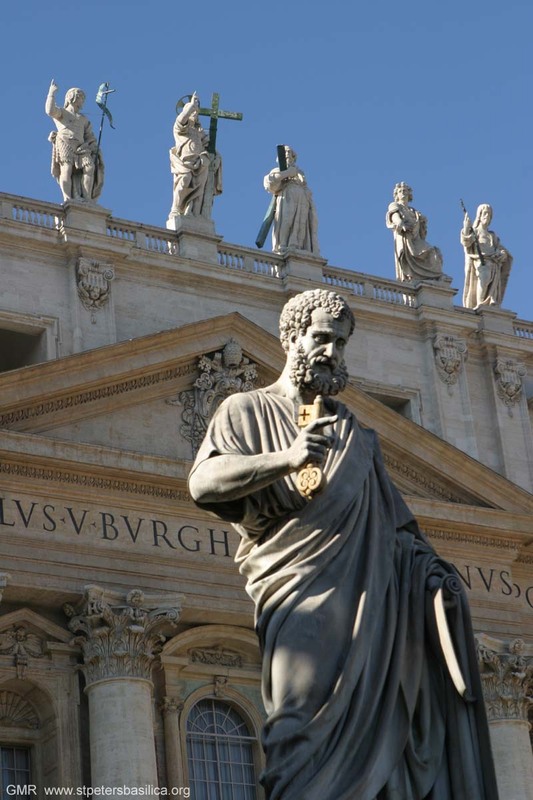 Bishops were denied contact with Rome. and the “Republic” demanded the prerogative of appointing its own bishops free of Rome’s interference. Aug. 26 to Sept. 28, 1978. 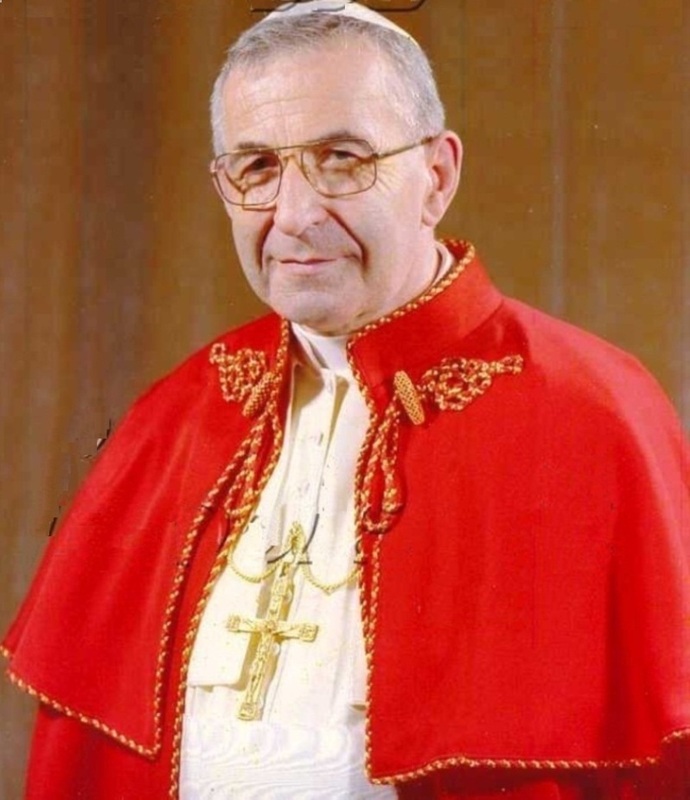 Pope John Paul I Died Within 33 Days Of His Papacy. 33 Was The Age Of Our Lord When He Was Crucified. Make sure you click the cc at the bottom of the video screen to read the captions. About John Paul, Mother Teresa was quoted as saying, He has been the greatest gift of God, a sunray of God’s love shining in the darkness of the world. Soon To Be Pope John Paul II Pledges Obedience To Pope John Paul I. 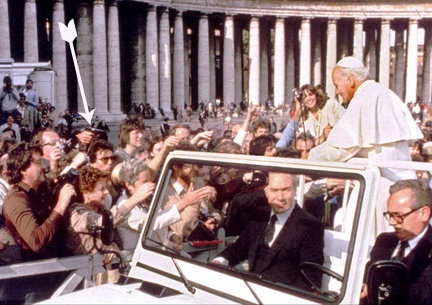 It isn’t a surprise that John Paul, reigning for only thirty-three days, among the shortest reigns in papal history, is remembered in Italy as Il Sorriso di Dio: God’s Smile. He died on September 28th, 1978. The ultimate break was reached in 1905 with the Law of Separation of Church and State, nullifying the Napoleonic Concordat of 1802. The law established “Associations of Worship” whose function was to administer the property of churches. Very simply, it meant that the State set itself up as the supreme authority over the Church, confiscating all ecclesiastical property and reserving to itself the right to regulate all religious activities. If, then, Catholicism hoped to survive in France, it appeared that the Pope would have to submit — or rather surrender — to the usurped power of the Masonic regime. But it was not to be. Saint Pius steadfastly refused to compromise with the government. In his encyclical, Vehementer, he condemned the theory of separation of Church and State as being completely false and an insult to God. 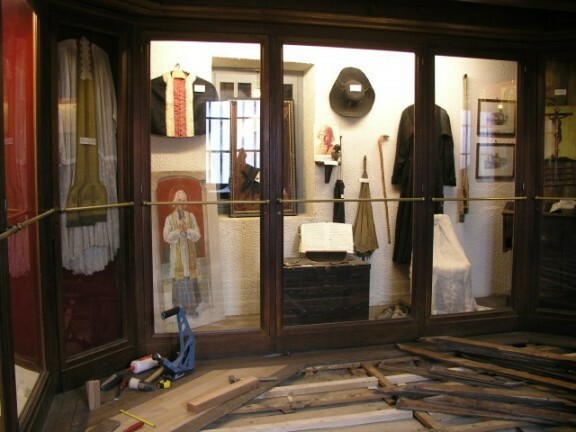 “The Church has not yielded up her right to these possessions. 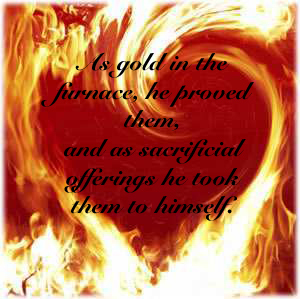 They belong to the worship of God and have been ruthlessly confiscated. Maid Of Orléans ~ Joan d’Arc! Lead The Armies Of France & Pushed The Corrupt British Back To England! Born January 6, 1412 burned at the stake May 30th. 1431 by the British. 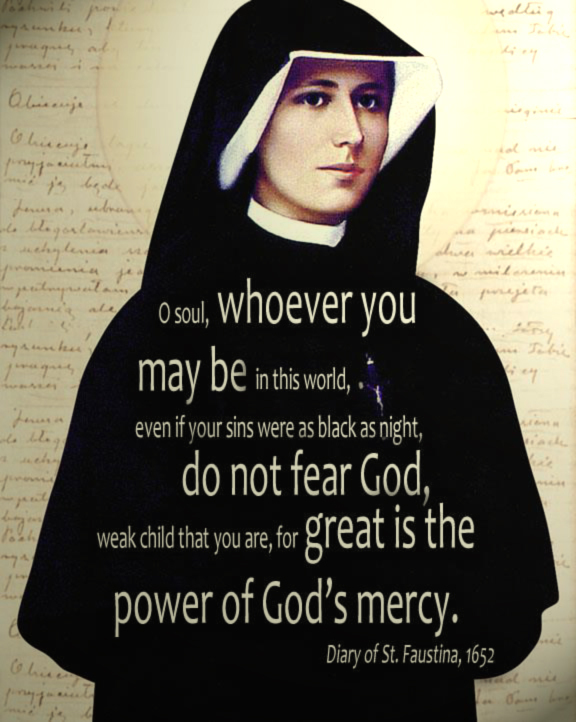 Diary of Saint Maria Faustina Kowalska. Karol Wojtyla (John Paul) was born in Wadowice, Poland, where later he moved to Krakow begining his journey in the priesthood. Five years after his birth, Helena Kowalska from Glogowiec, Poland applied for the second time to the “Congregation of The Sister’s of Our Lady of Charity” on August 1, 1925. This time she was accepted. She was nearly 20 at this time. After completing her postulancy she received her veil, and on April 30, 1926 she received her habit and her name in religion. From now on Helena would bear the name of, Sister Mary Faustina. Pope Of The Great Jubilee Where Christianity Enters The 3rd. Millennia. This Is A Principle of Roman Catholic Social Doctrine. Which Is Between 2000 A.D. & 3000 A.D.
Subsidiarity Is Opposite To Socialism And Liberalism. Not Cronie Capitalism aka; Keynesian Economics. To The Totalitarian “New World Order” By The Bankers. In London Between 1 and 4 June 2002. Was Celebrated On 2 June 2012. 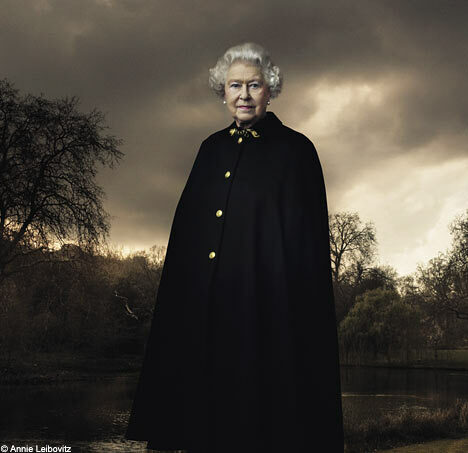 Beatified On May 1, 2011 The Mortal Bulldog Against Rothschild’s, Gorbachev’s, Freemason’s Totalitarian New World Order. 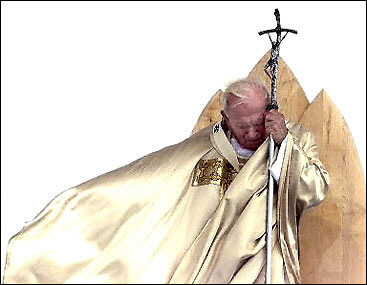 Pope John Paul II Called For A New World Order Of Subsidiarity (Which Is By The People) (Which Is Opposite) From The Rothschild Gorbachev Freemason Totalitarian New World Order. The Principle of Subsidiarity, It conflicts with the passion for centralization and bureaucracy characteristic of the Welfare State, because it calls for decentralization. “He who has the goods of this world and sees his brother in need and closes his heart to him, how does the love of God abide in him?” Everyone knows that the Fathers of the Church laid down the duty of the rich toward the poor in no uncertain terms. As St. Ambrose put it: “You are not making a gift of what is yours to the poor man, but you are giving him back what is his. You have been appropriating things that are meant to be for the common use of everyone. The earth belongs to everyone, not to the rich.” These words indicate that the right to private property is not absolute and unconditional. 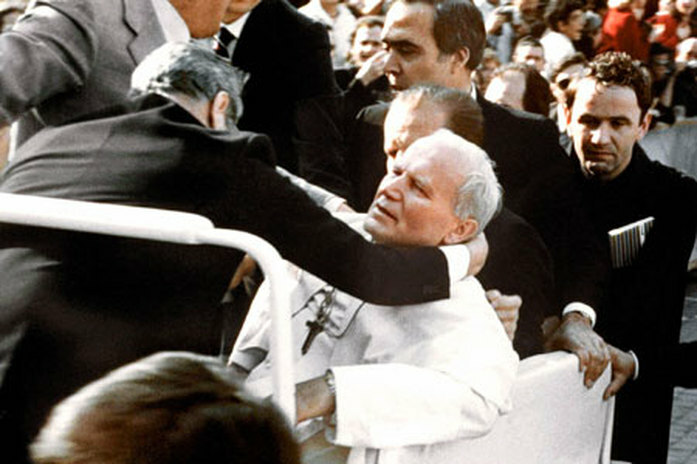 Pope John Paul II about to be shot by Mehmet Ali Agca in 1981. 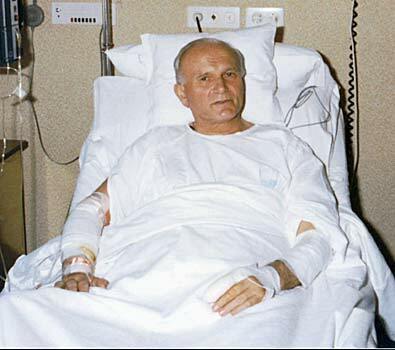 Pope John Paul II Recovering From Surgery. Weekend Reflections: Professional Assassin Mehmet Ali Agca Who Shot Pope John Paul II, Renounces Islam And Embraces The Catholic Faith. 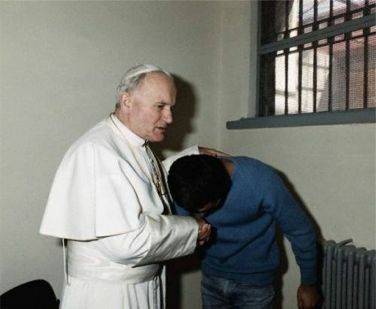 Mehmet Ali Agca, a Muslim was forgiven by Pope John Paul II at a meeting in his prison cell just after Christmas 1983. POPE JOHN PAUL II CITED THE OFFICIAL ROMAN CATHOLIC STANCE ON DEFENSE WEAPONS! Wojtyła was made a cardinal in June 1967. As cardinal archbishop of Kraków, he worked closely with Poland’s powerful primate cardinal, Stefan Wyszyński, archbishop of Warsaw, who declared that Christianity, not communism, was the true protector of the poor and oppressed. His nonviolent activism spurred movements to the peaceful dissolution of Sovietism (Gorbachev) aka; Communism aka; Rothschildism in USSR in 1991. 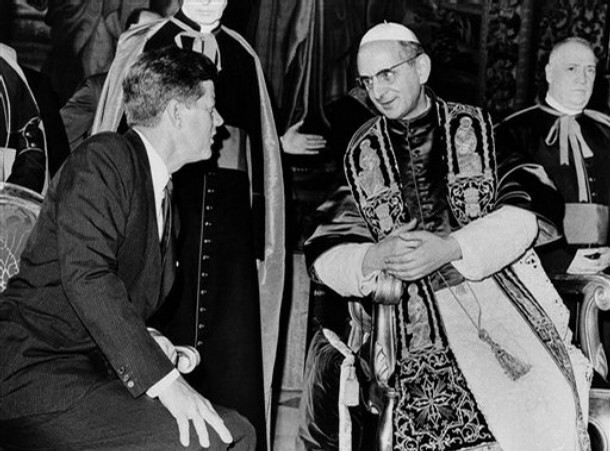 Pope John Paul II strictly reasserted the canon law banning priests from any active participation in party politics. When Pope John Paul II consecrated the modern world to the Immaculate Heart of Mary, a priest ordained by French archbishop Marcel Lefebvrelunged at the pope with a bayonet, narrowly missing him. 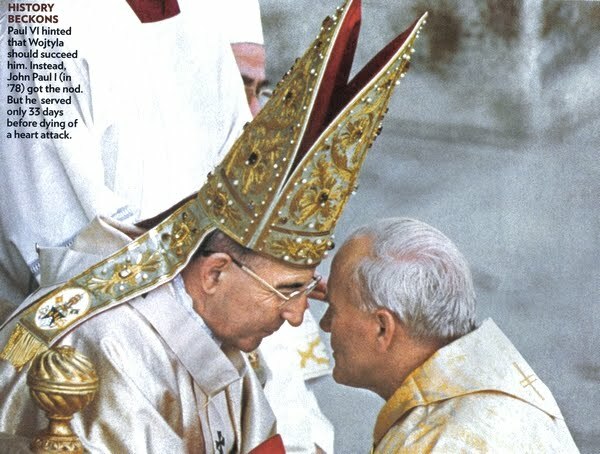 On July 2, 1988, Pope John Paul II declared Archbishop Lefebvre, the four bishops illicitly consecrated by him, and those who adhere to Lefebvre’s movement to be in schism. In December 1989 Mikhail Gorbachev became the first Soviet leader to visit the Vatican. The collapse of the Soviet Union occurred two years later. An infinitely greater danger than the open persecutions against the Church — and not unrelated in their origin — were the attacks on the Faith from within. Pope John Paul II when addressing ‘evolution’ cautioned the scientific community that science must be validated and they are not to bring it into the philosophical arena, by doing so, they are guilty of not science but mete-science. 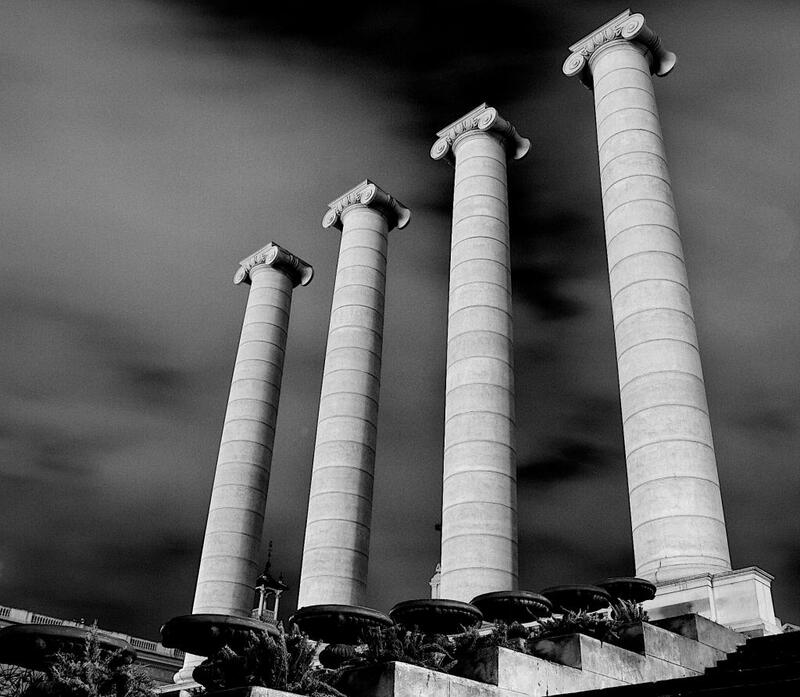 What is Modernism? 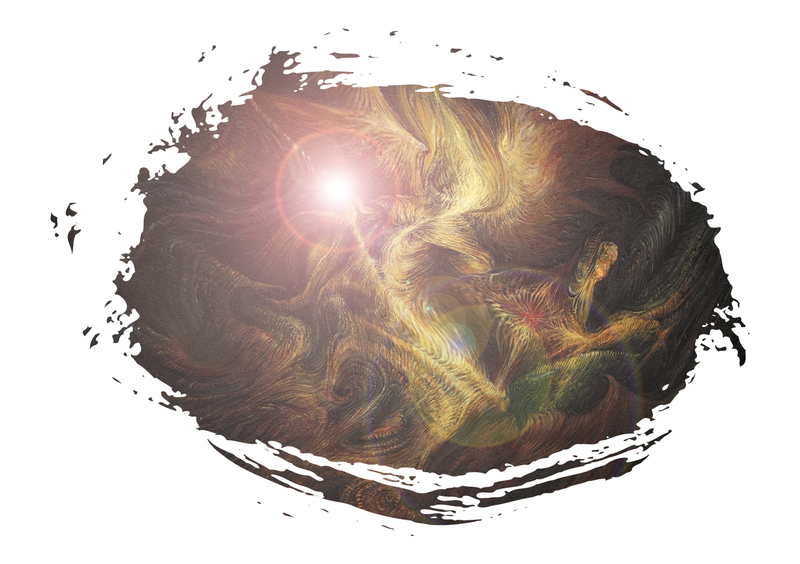 It is a dogmatic medium for the “humanitarian tendency of contemporary society — the ambition to eliminate God from all social life,” says one writer. It “is denial of God and His Christ in their living reality, to be replaced by replicas which it can adore without needing to leave the self or submit to any other person,” says another. More specifically, it “is an organized and methodic skepticism of thought in the matter of Scripture, Theology and Church History,” as our own Sister Catherine summarized it. One of the deepest forms of poverty a person can experience is isolation. If we look closely at other kinds of poverty, including material forms, we see that they are born from isolation, from not being loved or from difficulties in being able to love. Poverty is often produced by a rejection of God’s love, by man’s basic and tragic tendency to close in on himself, thinking himself to be self-sufficient or merely an insignificant and ephemeral fact, a “stranger” in a random universe. Man is alienated when he is alone, when he is detached from reality, when he stops thinking and believing in a foundation. 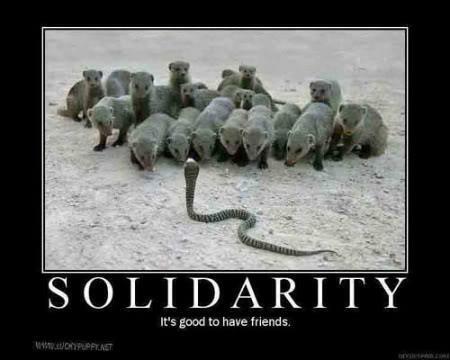 All of humanity is alienated when too much trust is placed in merely human projects, ideologies and false utopias. Today humanity appears much more interactive than in the past: this shared sense of being close to one another must be transformed into true communion. The development of peoples depends, above all, on a recognition that the human race is a single family working together in true communion, not simply a group of subjects who happen to live side by side. 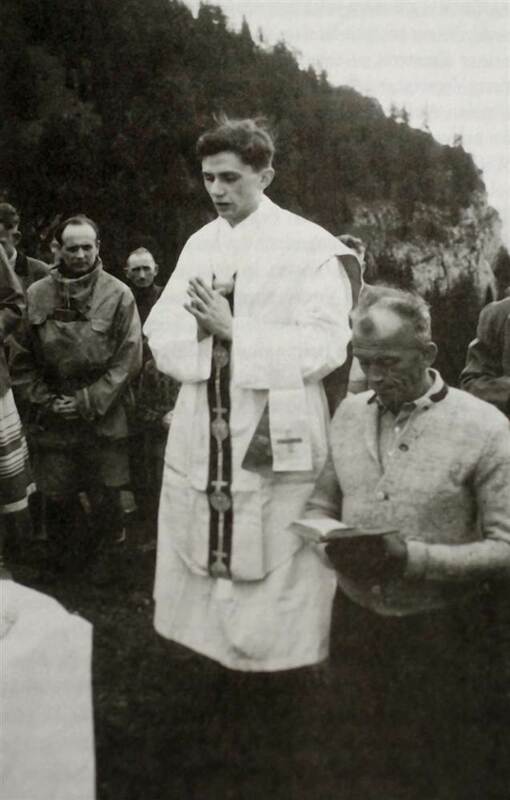 Joseph Ratzinger celebrates Mass at a mountain site near the Bavarian town of Ruhpolding, Germany in the summer of 1952. Newspapers, blogs, talk-shows on radio and television are full of discussion over Pope Benedict XVI’s supposed call for a “new world order” or a “one-world government.” These ideas are, however, neither based in reality nor a clear reading of the Pope’s latest encyclical, Caritas in Veritate, the release of which spawned heated discussion. The Pope actually speaks directly against a one-world government,and, as would be expected from those who have read his previous writings, calls for massive reform of the United Nations. Confusion seems to have come from paragraph 67 of the encyclical, which has some choice pull-quotes which have spiced the pages of the world’s news, from the New York Times to those of conspiracy theorist bloggers seeing the Pope as the Anti-Christ. 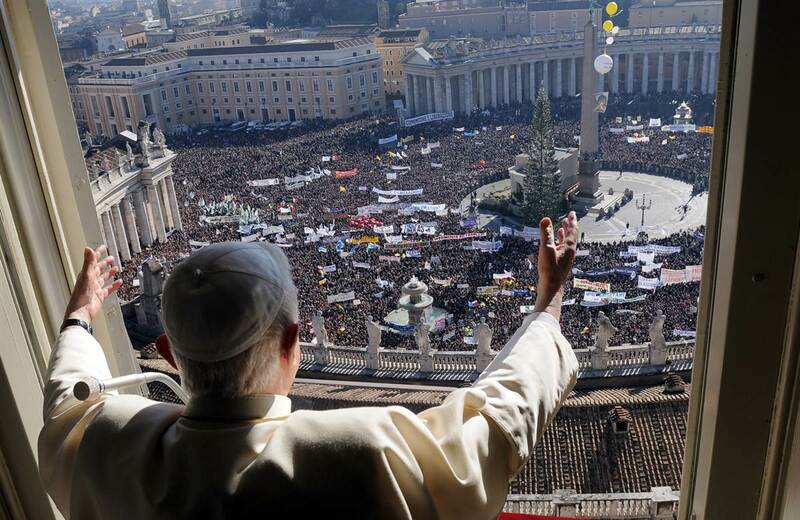 Tens of thousands of people attended Pope Benedict XVI’s traditional angelus prayer in Saint Peter Square, on Jan. 19, 2008. Pope Benedict XVI Speaks The Language Of Subsidiarity While Globalists Speak The Language Of Totalitarianism aka; Fascism. However, in paragraph 41, the Holy Father specifically differentiates his concept of a world political authority from that of a one-world government. “We must,” he says “promote a dispersed political authority.” He explains that “The integrated economy of the present day does not make the role of States redundant, but rather it commits governments to greater collaboration with one another. Both wisdom and prudence suggest not being too precipitous in declaring the demise of the State. In terms of the resolution of the current crisis, the State’s role seems destined to grow, as it regains many of its competences. Later in the encyclical (57) he speaks of the opposite concept to one- world government –subsidiarity (the principle of Catholic social teaching which states that matters ought to be handled by the smallest, lowest or least centralized competent authority) – as being essential. To be still more specific, Modernism was inspired by the “free-thought” philosophy of Jean Jacques Rousseau, who actually coined its very name. It was institutionalized by the Subjectivism of Immanuel Kant. The responsibility of the state. “Economic activity, especially the activity of a market economy, cannot be conducted in an institutional, juridical, or political vacuum. On the contrary, it presupposes sure guarantees of individual freedom and private property, as well as a stable currency and efficient public services. 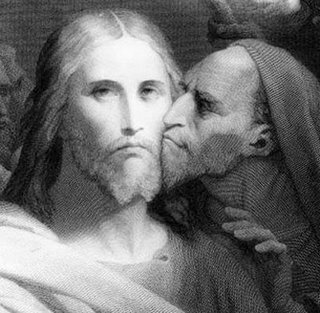 Pius, however, well knew the treachery of his enemies and was not to be fooled. and which leads them, lest they should seem as other men, to embrace and to devise novelties even of the most absurd kind. 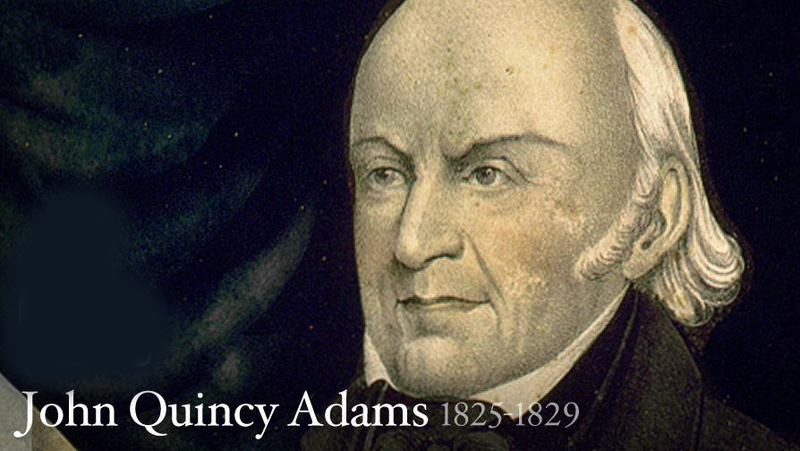 It is pride which …causes them to demand a compromise between authority and liberty. It is owing to their pride that they seek to be reformers of others while they forget to reform themselves. Exemplifying the pompous arrogance for which they had been cited, other Modernists attempted to belittle the solemn condemnation by calling the Sovereign Pontiff, in his own humble words, a “country curate,” by which they meant to imply that he was no intellectual like themselves. The Anti-Catholic Puritans Landed In Massachusetts While The Roman Catholics Landed In Maryland And Who Established The United States Of America Based Upon Religious Liberty. The truth, of course, is that for all his humility Saint Pius X was a brilliant theologian and philosopher, as Pascendi ably demonstrated. In fact, their having to stoop to base insults — many far worse than these — proves in itself that the Modernists were without any defense against this intellectual giant. Pascendi is a literary monument to the splendid holiness, to the luminous wisdom, to the alert perspicacity, to the unflinching courage, to the uncompromising firmness and yet also the paternal gentleness — in short, to all the magnificent attributes of this contemporary Pope and Saint, whose disarmingly modest stature cast an awesome shadow on a worldwide battlefield. Brazen and determined enemies of the divinely founded Church, both within and without, who were emboldened by the very powers of hell, had unexpectedly met far more than a match for their sinister craftiness in the person of one soft-spoken little man, Giuseppe Sarto. Those within the Church were forced to retreat back into dark shadows, and the ugly contagion of their Modernism was arrested — at least for a time. Melchizedek. 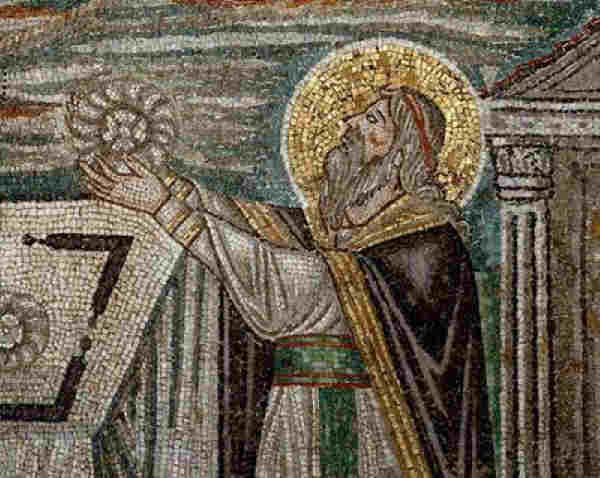 Mosaic of “San Vitale” in Ravenna. But Pius knew that neither the devil nor his disciples ever rest — much less do they ever give up. With characteristic action, therefore, he moved positively against the lingering “atmosphere of poison,” focusing on the infected clergy. Recalcitrant Modernist priests were excommunicated, and the warning of like justice was directly conveyed to all — regardless of ecclesiastical rank — who entertained notions of defying the Holy Office in its condemnation. 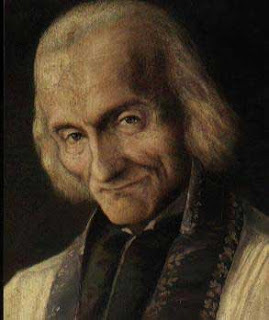 All his sacerdotal life, Giuseppe Sarto had regarded unholy priests as a menace and a main reason why so many evils were able to flourish in the world — even more so in recent times because of the many abuses of the sacred ministry. And so as Pope in 1908 he wrote his famed Exhortation to the Catholic Clergy, a spiritual formula urging those ancient prescriptions of the Church — prayer, meditation, the study of holy works, and other practices conducive to an interior life — as the means by which to acquire priestly sanctity. It is “interior holiness” that makes for a good priest: “If this holiness — the supereminent wisdom of Jesus Christ — is lacking in a priest, everything is lacking in him. Because — without holiness — a vast store of the finest learning (which We Ourselves are trying so hard to cultivate in priests), keenness and efficiency in management, while they may occasionally be of some service to the Church or to individual souls, are much more frequently the deplorable cause of harm to the Church and to souls. Consider the example of priests who are lax about meditation: “In them you see men in whom the sensus Christi, the inestimable treasure, has become dimmed; men entirely attracted to worldly things, followers of mere vanities, giving themselves over to frivolities; priests who treat sacred things remissly, coldly, perhaps even unworthily… Among these priests, however, who are loathe, or who neglect entirely to consider their heart, there are some who do not try to hide the poverty of their souls, but they excuse themselves with the pretext that they have given themselves over entirely to the duties of their ministry and are spending themselves for the good of others. The vestments of the Holy Curé of Ars. As a matter of fact they are miserably mistaken. Unaccustomed as they are to speaking to God, when they talk of Him to men or try to teach men the counsels of a Christian life, they are utterly lacking in divine inspiration, so that in their mouth the word of God seems to be something that is almost dead. Pope Pius achieved magnificent reforms among the priesthood. In fact, he brought numerous practical reforms to many aspects of Church life: ecclesiastical music and art, Canon Law, the Breviary, the Roman Curia, the study of Sacred Scripture, among so much more. And certainly his most notable reform was in restoring to the faithful in a great measure the spirit of Christian piety which had been rapidly shrinking. It would be very difficult to account for all the splendid works of this loving Pastor of Christendom who labored and prayed tirelessly “to restore all things in Christ.” Nor would such an account, for that matter, really help us to know the true greatness of so saintly a Servant of the Servants of God. Heroic sanctity is a requisite for canonization. 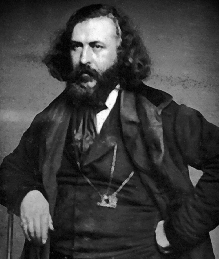 Giuseppe Sarto, like all other saints, did not consciously seek to be heroic. He merely wanted to be holy, and God rewarded him by providing the occasion for his heroism as Pope Pius X. We see the beautifully glowing sanctity of Saint Pius in his simplicity, his humility, and his complete dedication to God and His Church. But the key to all these shining virtues lies in his spirit of poverty and his loving charity — two qualities in Pius that were inseparable. Detachment from worldly desires and comforts constitutes a proper spirit of poverty. And, indeed, Giuseppe Sarto practiced not merely the spirit, but the poverty itself. It is said that he was poorer as the Head of the Church than he had been as a pastor at Salzano. As Bishop of Rome he could no longer travel about a village, a city, or a diocese dispensing alms, as he routinely had always done in lower ecclesiastical offices. So instead he received the poor in vast numbers at the Vatican. Moreover, those in need throughout the whole world benefited from his immense and unceasing generosity. He was impoverished at the time of his death, but he managed to provide a sizable endowment for the homeless children who had survived a terrible earthquake in 1908. And at the time of that disaster, it was Pius who rushed with large sums of his own money to bring relief to the stricken area. And we can be sure that it was by this same spirit that he ever remained aloof from adulation and praise — the certain pitfalls of pride. 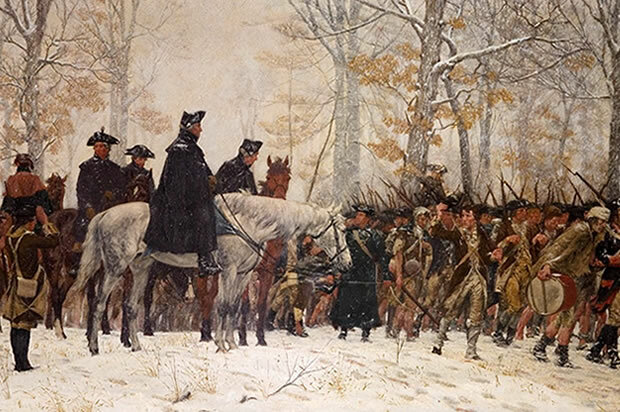 Thus he was able to maintain his conscience and clearmindedness to make decisions and to act justly in critical matters, free of the flattering persuasions of those who had vested interests. The World Has A New Pope ~ Jorge Mario Bergoglio Of Argentina! The first Pope of the Americas Jorge Mario Bergoglio hails from Argentina. The 76-year-old Jesuit Archbishop of Buenos Aires, he was born in Buenos Aires on 17 December 1936, the son of Italian immigrants. His father Mario was an accountant employed by the railways and his mother Regina Sivori was a committed wife dedicated to raising their five children. He graduated as a chemical technician and then chose the path of the priesthood, entering the Diocesan Seminary of Villa Devoto. On 11 March 1958 he entered the novitiate of the Society of Jesus. “Peace in the whole world, still divided by greed looking for easy gain, wounded by the selfishness which threatens human life and the family, selfishness that continues in human trafficking, the most extensive form of slavery in this twenty-first century; human trafficking is the most extensive form of slavery in this twenty-first century! Peace to the whole world, torn apart by violence linked to drug trafficking and by the iniquitous exploitation of natural resources! Peace to this our Earth! 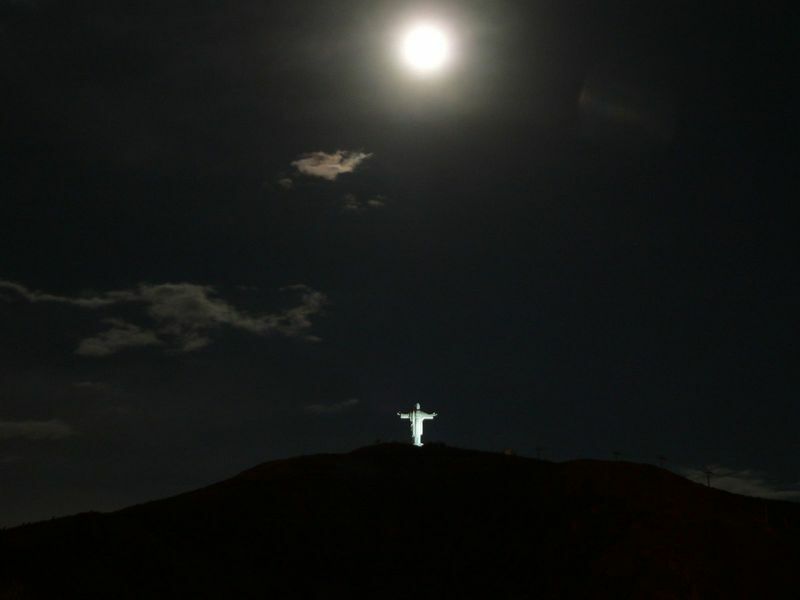 Made the risen Jesus bring comfort to the victims of natural disasters and make us responsible guardians of creation. 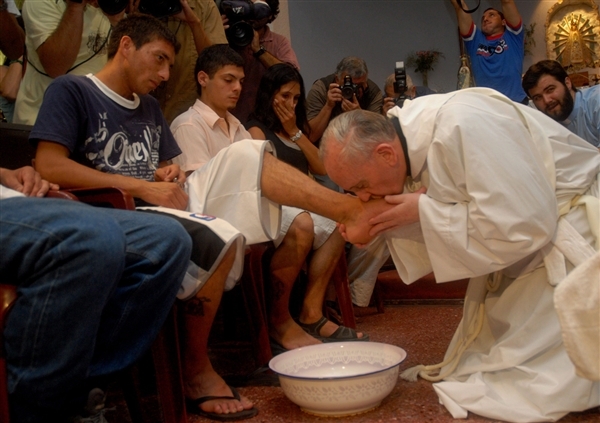 Cardinal Bergoglio surprised many in 2001 when he washed and kissed the feet of 12 AIDS-related patients at Muñiz Hospital in Buenos Aires, saying “society forgets the sick and the poor”. 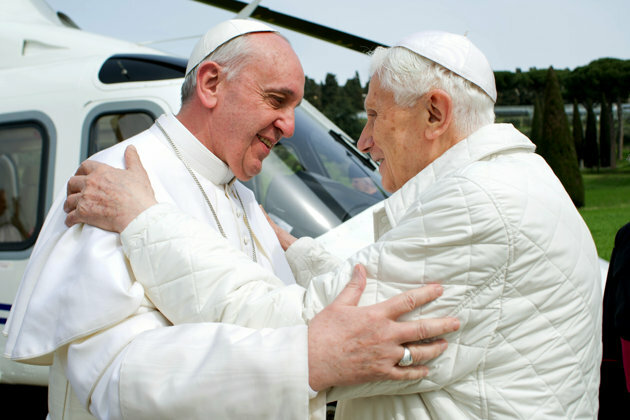 On the matter of homosexual civil unions, the Church’s teaching is laid out in a 2003 document approved and ordered published by Pope John Paul II and written by Cardinal Joseph Ratzinger, who was is currently Pope Emeritus Benedict XVI. There are absolutely no grounds for considering homosexual unions to be in any way similar or even remotely analogous to God’s plan for marriage and family. Marriage is holy, while homosexual acts go against the natural moral law. Homosexual acts “close the sexual act to the gift of life. They do not proceed from a genuine affective and sexual complementarity. Under no circumstances can they be approved”. 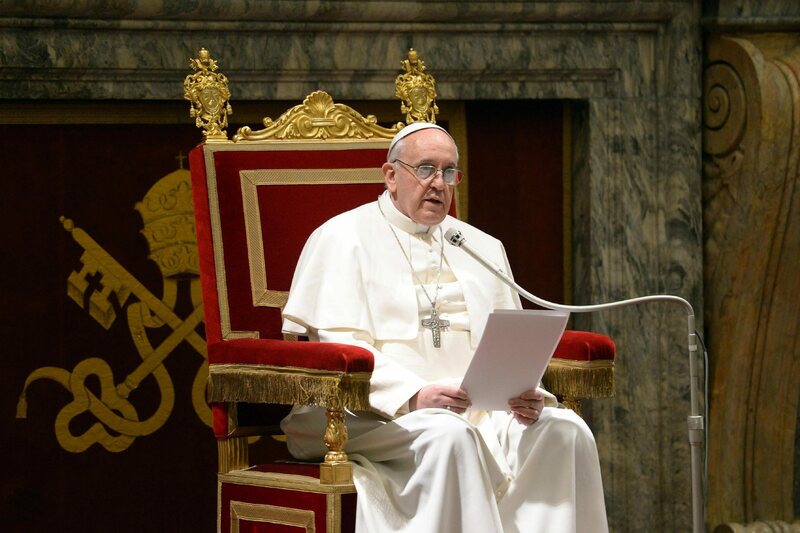 Meanwhile, additional information has come out strongly refuting contentions that Francis in some way supported the concept of giving recognition to homosexual unions. Pope Francis’s sister has revealed that their family fled Italy and emigrated to Argentina in the 1920s in order to escape the Fascist regime of Benito Mussolini. How fortunate were those ever to be in the presence of Saint Pius X, to have some relic of his, or to receive his blessing. 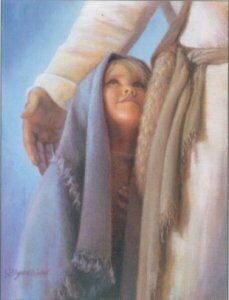 Many were miraculously cured of their infirmities. 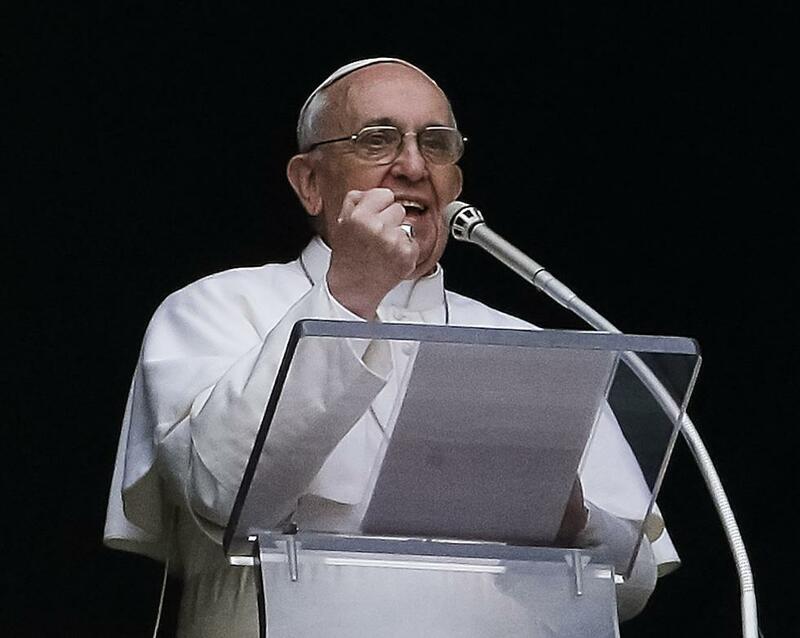 One nun, dying from abdominal cancer, swallowed a particle of the Pope’s clothing. All pain instantly vanished and she was restored to health. The Mother Superior of a girls’ boarding school in Ireland contracted a disease of the hip, which gave her excruciating pain and forced her to take leave of her work. The disease spread rapidly, and before long she had to be continually on her back. One of her students, a six-year-old, wrote to the Holy Father to ask him to pray for the afflicted Superior. 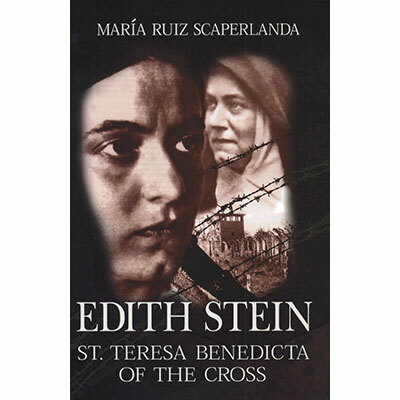 One evening, a short time later, the pain suddenly left the ailing nun along with all traces of the disease. A man once brought his child, paralyzed since birth, to a public audience with Saint Pius X. His holiness beckoned to the man, “Give him to me,” and sat the youngster on his lap while he talked to other visitors. After a few moments the small child slipped off the Pontiff’s knee and began running about the room. There were many such miracle associated with Pope Pius X, all of which the Saint humbly attributed to the power of “the Keys,” dismissing his own personal sanctity. One of the more dramatic of them is worth telling. Laying his hands on the nuns’ heads and blessing them, His Holiness said, “Have confidence; you will get well and do much work for God’s glory.” In that same moment the nuns were cured, but Pius bade them to keep the matter silent. The compassion of Saint Pius X was indeed Christ-like as well. We have already mentioned how the blessed man would weep at the sight of suffering. Consequently there was nothing that could arouse his anger more than cruelty. Once, as Patriarch, he heard from the streets the cries of a small child being unmercifully punished. He rushed toward the direction of the cries and yelled up to an open window, whence they came, “Stop beating that child!” A woman appeared at the window, then quickly retreated at the sight of the infuriated Cardinal-Patriarch on her doorstep. Needless to say, the beating stopped. So much the greater was he agonized as Pope, witnessing the inhuman treatment accorded to South American Indians; the Sultan ruler who took perverted pleasure of having his victims tortured to death; and the barbaric persecutions inflicted on Christians by Communist revolutionaries in many different countries. And in every instance he tried to intervene with all the might and indignation of his sacred office. 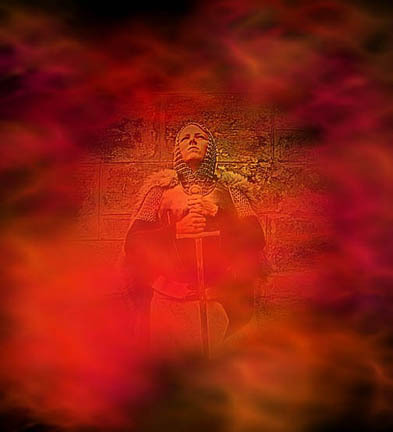 Perhaps the most painful of such afflictions was World War I. Pius prophetically had foreseen its coming years before the actual outbreak, and his soul bore that terrible vision as the body would an unhealing wound that progressively deepened as the war approached. 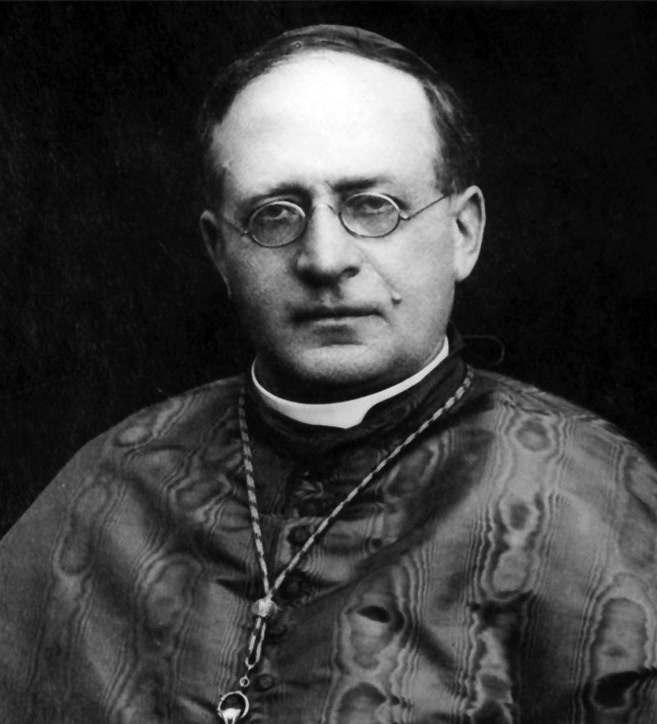 Benedict XV, born Giacomo Paolo Giovanni Battista della Chiesa, reigned as Pope from 3 September 1914 to 22 January 1922. His pontificate was largely overshadowed by World War I and its political, social and humanitarian consequences in Europe. That same year, Bolsheviks overthrew the Hohehzollern monarchy in Russia with help from Max Warburg and Jacob Schiff, while the Balfour Declaration leading to the creation of Israel was penned toZionist Second Lord Rothschild. When in July of 1914 the Austrian Archduke Ferdinand was assassinated, the great Pontiff knew that the time of the inestimable human suffering which he had long anticipated had finally arrived. Pius lapsed into a state of such aching sadness that it could only be compared to Our Lord’s agony in the garden of Gethsemane. 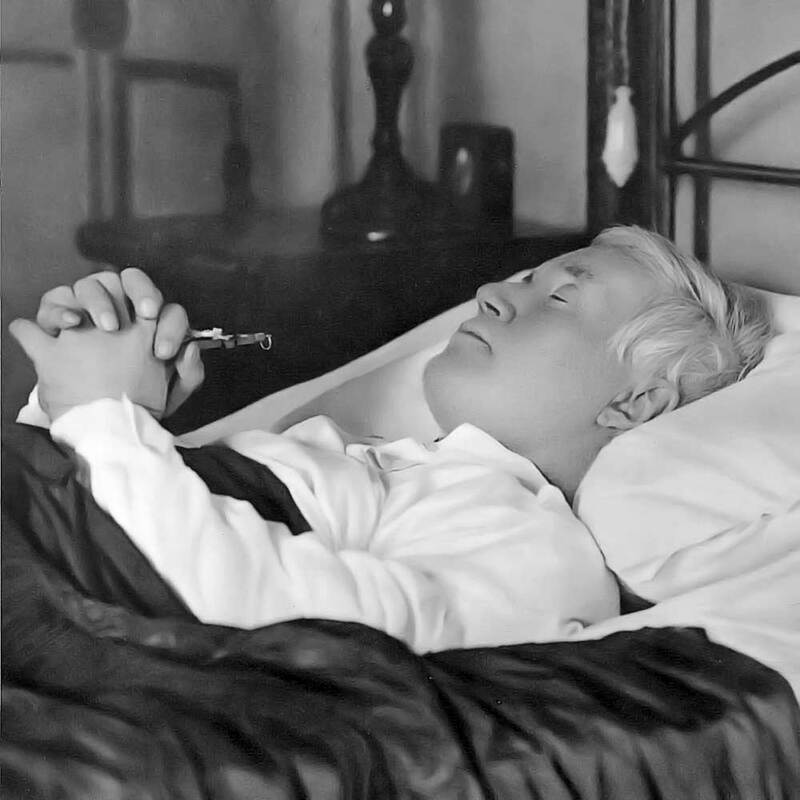 Within a few weeks, on the Feast of the Assumption, Saint Pius X became ill. It did not seem serious — a mild inflammation of the throat that settled into his chest. But on the nineteenth of August the meek, white-robed figure collapsed. In a few hours the great bell of St. Peter’s was tolling the Pro pontifice agonizante. 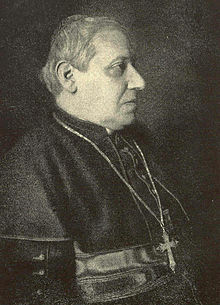 Cardinal Merry del Val records, “were administered to him…in the simplest form possible. In this modest disposition the quiet little Saint, who had courageously and firmly stood up against Satan’s soldiery like a colossal warrior, happily was to depart from this world, clutching a small crucifix, in the same poverty and simplicity in which he was born. At about one o’clock on the morning of August 20, 1914, in the gentle peace of sleep, the magnificent fatherly heart that had loved and suffered so much was stilled by the Finger of God and beat no more. The glorious and beautiful soul of Pope Saint Pius X at last was blissfully where it had always longed to be — with the Heavenly Father. And his body was left perfectly incorrupt till this day as relic and testimony of his exceptional sanctity. 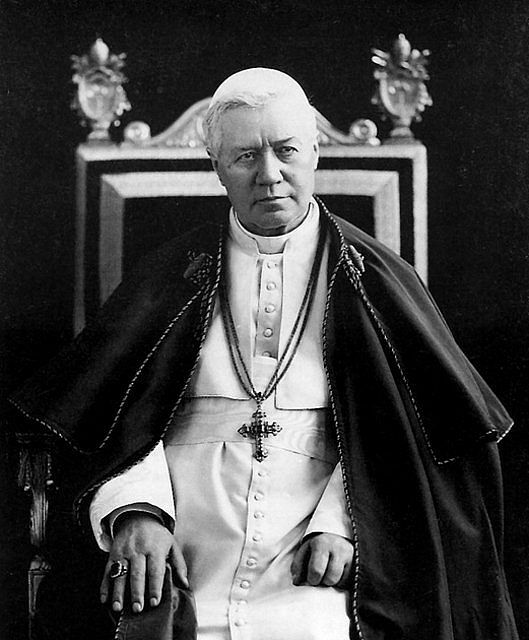 Pope Pius X died in the early hours of August 20, 1914. His last act was to kiss the crucifix he is shown holding. In the sleep of death his countenance was peaceful and almost seemed youthful again. 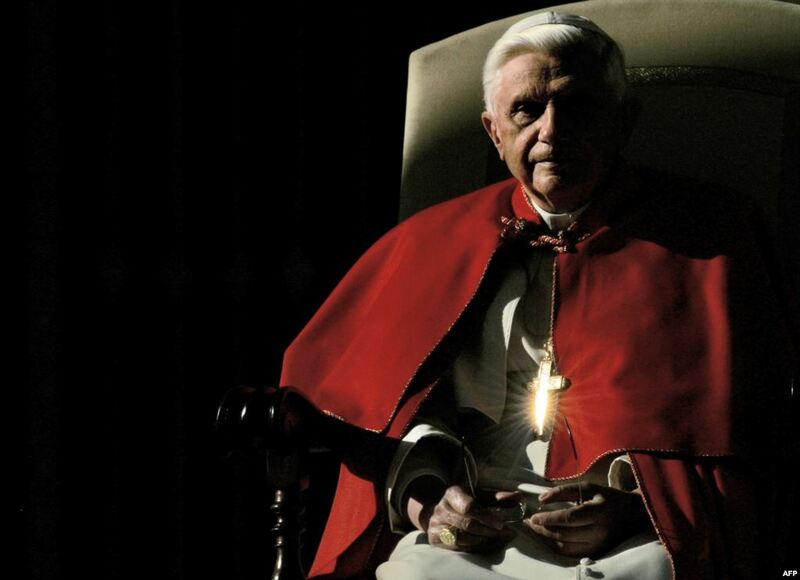 One cardinal announced, “The Holy Father has died of a broken heart.” That was very true. But Cardinal Merry de Val also reported that the saintly Pontiff possessed an “extraordinary serenity” in his last moments of life. And we are certain that this was because Saint Pius was immeasurable happy, knowing that in Heaven he could now interceded for us ever more powerfully against the wiles of the devil. Behold, I am with you always, until the end of the age.